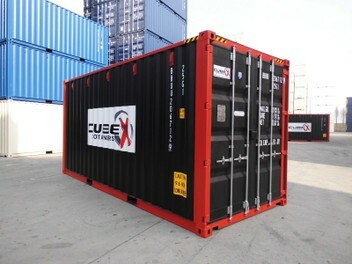 Hire of New 10 or 20 foot containers­. Get a 10 or 20ft shipping container that is perfect to store your Furniture etc in. Based in Canterbury we are a local family business. Cubex is a member of "Site Safe NZ". Get a 10 or 20ft shipping container that is ideal for home or business. "OUR CONTAINERS ARE BRAND NEW, CLEAN, EASY TO USE AND LOCKABLE"
* Supply a new furniture grade 20 foot container to your property for you to load at your convenience. *Pick up and deliver to your new dwelling when you are ready. *Collect empty container when your shift is completed. "DON'T SETTLE FOR SECONDHAND WHEN FOR A LITTLE BIT MORE YOU CAN HAVE A NICE AS NEW CONTAINER"
Transport there and back + one months rental in advance.